After growing up in Tucson and graduating from the University of Arizona, Barbara Fenster moved to Seattle and spent 15 years as a television news and documentary producer. One documentary, about the tragedies of children in foster care, affected her so deeply that she and her husband became foster parents and adopted two of their three children. Fenster spent seven years with a nonprofit working to reform the Washington State Foster Care system. She helped start five new nonprofits to support foster children and their families, and a statewide organization to recruit foster and adoptive parents. She returned to Arizona in 2006. She has worked for Governor Janet Napolitano; headed up Recording for the Blind and Dyslexic; and worked for her family’s nonprofit boarding school, The Fenster School of Southern Arizona. 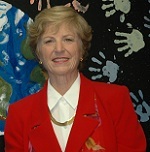 At the time of her fellowship she was executive director of Free Arts for Abused Children of Arizona. Ms. Fenster’s sabbatical focused on changing internal and public perception of Free Arts; strengthening internal practices to meet the rapidly escalating need for services; and learn more personally about how art therapy affects children. Her attendance at the ALIA Summer Leadership Program in Halifax, Nova Scotia was “enlightening about myself and my strengths and weaknesses in decision-making; about my staff as individuals and new ways we can use their strengths; and, surprisingly, about the children we serve and their internal limits because of age and experience.” She also attended a national conference that discussed how the field is on the cusp of having definitive scientific evidence about the positive impact therapeutic arts has on the brains of trauma victims. She also spent two weeks in an intensive art therapy master program where she experienced art therapy first hand; attended a leadership course at the Darden School at the University of Virginia, and spent a life-altering week in a meditative yoga retreat at Rolling Meadows in Brooks, Maine. 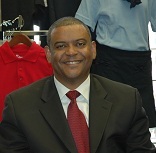 Karl Gentles has worked in the nonprofit arena for the last 15 years and began his tenure as Executive Director of Back to School Clothing Drive in 2007. 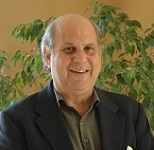 Driven by his passion for helping children, Gentles has revolutionized the organization’s business model, more than doubling revenues through social enterprise and substantially increasing the number of partner schools. He formerly held senior leadership positions with USAA, Bank One, and Greater Phoenix Economic Council and has served in pivotal roles for nonprofits such as Phoenix Industrial Development Authority, Southwest Leadership Foundation, and Arizona School Facilities Board, among others. To further grow Back to School Clothing Drive’s retail social enterprise, Karl Gentles planned a comprehensive fellowship that combined visits to best practice sites and study at leading executive education programs. By spending time at Better World Books Gentles learned first-hand how to implement a “triple bottom line” approach and gained further insights about the challenges of growing a program exponentially without losing sight of its mission. He also attended a leadership program at the University of Virginia’s Darden School of Business. to use her skills and experience giving back to the community. 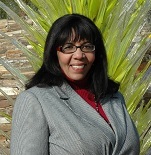 MaryLynn worked for ten years in the health and human services and museum fields before moving to Phoenix in 2003. At the time of her fellowship, she served as deputy director and co-leader with the Executive Director responsible for the vision, planning, and growth of the Desert Botanical Garden, a cultural institution in Phoenix. With her Piper Fellowship, MaryLynn Mack focused on immersing herself into the many different learning experiences of a child to help her plan and design a new children and family garden space that would connect families back to nature and attract new collaboration opportunities with other child-focused organizations. She visited institutions across the country including the New York and Brooklyn Botanical Gardens; and the Exploratorium, Bay Area Discovery Museum, J. Paul Getty Museum, and Center for Childhood Creativity Think Tank in California. Ms. Mack also participated in a five day program at the Disneyland Leadership Institute and spent a week at the Sesame Street Workshop. She finished her traveling with reflection at Ghost Ranch in Abiqui, New Mexico. At the time of her fellowship Darlene Newsom had worked in the nonprofit sector in Arizona for over 35 years and was Chief Executive Officer at UMOM New Day Centers overseeing an $8 million budget and 165 employees. Under her leadership UMOM expanded its capacity and improved the services offered to families experiencing homelessness. Previously she was the Director of a shelter for homeless youth in Tucson and also founded a homeless shelter for children in Yuma. She is widely recognized as an expert on issues affecting homeless families. Her objective was to gain new skills and expertise that would contribute to goals such as expanding UMOM New Day Centers and growing the agency in ways that support breaking the cycle of family homelessness. Newsom participated in leadership and customer service programs at the Disney Institute, studied the success of FareStart, a job training and placement program for homeless individuals, and attended the National Conference to End Family Homelessness in Oakland, California. Growing up in rural Connecticut and moving to Manhattan to attend the Juilliard School as part of the first graduating class of the Drama Division, Jared has sustained an unbroken commitment to the professional theatre his entire life. Upon graduation from Juilliard he became a founding member of The Acting Company, performing on Broadway, Off-Broadway, and on National Tours. During his career he has performed and/or directed for major theatres and programs around the world including Yale, Juilliard, NYU, The Mark Taper Forum, ACT, Oxford, and many others. At the time of his fellowship, he was celebrating 12 years as Producing Artistic Director for Southwest Shakespeare Company. Jared Sakren’s Piper Fellowship focused on conducting research at several large iconic Shakespeare companies to learn about best practices for producing and marketing Shakespeare. Through meetings with theatre leaders of organizations including the Oregon Shakespeare Festival, the Shakespeare Theatre in Washington, the Royal Shakespeare Company, and the Globe Theatre in England, Sakren brought back ideas and lessons learned in order to create new festival and destination events for Southwest Shakespeare Company. He also participated in an intensive seminar in nonprofit management held by the American Management Association to better serve his organization and create new revenue streams.